Do you yearn for more than beautiful beaches and mystical temples? Bali is known for many things but trekking isn’t the first thing that comes to mind. This should not be the case as treks in the Bali can be enjoyable and challenging, yet conveniently accessible and timely. For those of you who enjoy getting out into the wild, the jungle might be the most exciting place to explore. Bali has so many trails and there are a whole host of companies that are ready to take your exploring. There are some trails which we highly recommend and you can choose to take these treks on your own, with the necessary emergency precautions in place, or you can hire a guide/tour company to take you. Here are some of our favourite jungle treks. North Bali has a number of really nice spots for jungle trekking and Lemukih jumps out immediately for first-time trekkers and perhaps even experienced adventurers. Before even starting the trek, you can visit Pura Dalem of Jagaraga, a temple with beautiful stone carvings, and a gamelan instrument factory, which produces gong kebyar and other instruments. The trek itself is not the most challenging one but it is short and filled with interesting diversions and photo opportunities. 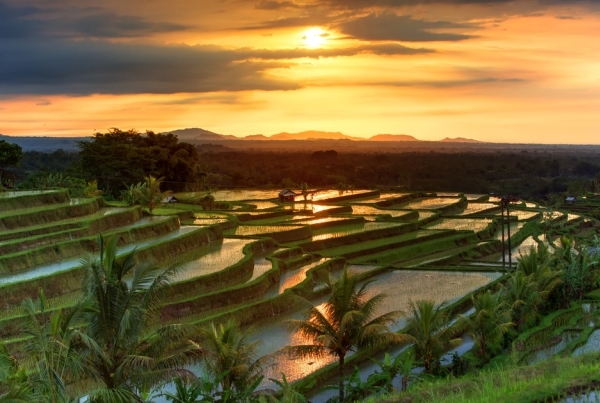 You’ll have vistas of rice paddies, fruit and coffee plantations and plenty of small streams and jungle rocks to see. 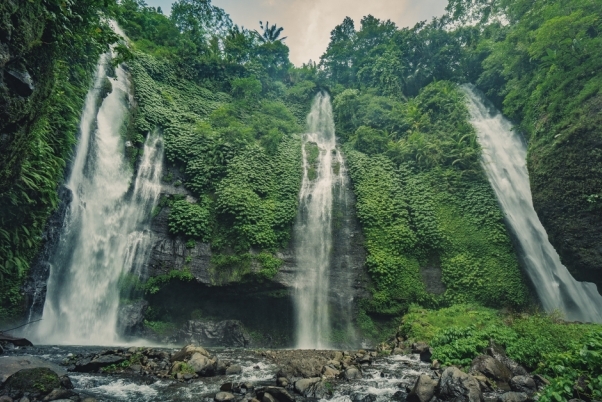 Finally, you can enjoy the waterfalls of Lemukih, which are a great way to cap off the trek. Sambangan is a waterfall paradise and this trek is harder than the Lemukih one. Some call this area, the Sambangan Secret Garden, but the waterfalls are truly the highlight. The trail starts at the TiyingTali Dam. This is another area of Northern Bali that is well-worn by jungle trekkers and it is a very popular trail, so don’t be surprised to meet fellow trekkers along the way. Aside from the lush jungle greenery, there are a few rice paddies to be seen here. However, it really begins to settle when you start passing the waterfalls. The AlingAling Waterfall, Kembar Waterfall and Pucuk Waterfall are all major stops along the way. The water is cool and clear and it is always advised to take a dip and enjoy the majesty of these jungle falls. 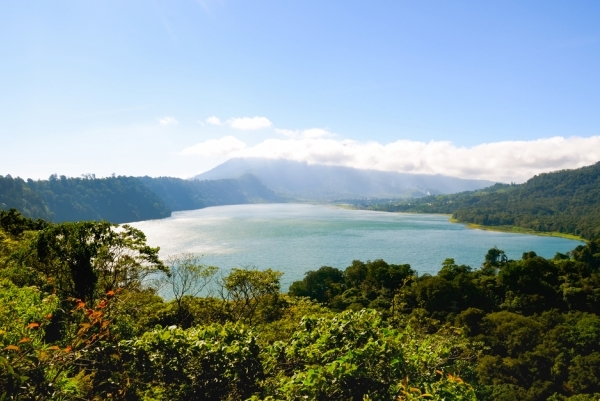 The twin lakes in question are Buyan Lake and Tamblingan Lake and both lakes are located near the central part of Bali. The guided tours here take you to the various temples and small villages in the area but there is enough beautiful scenery to enjoy the trek on your own. A popular feature of this area is canoeing in Tamblingan Lake, which is quite easy and fun. There are some hilly areas which provide lovely view of both lakes and on a pristine day, this area is great for photography. Not too far from the Lemukih Waterfall is the Sekumpul Waterfall. The trek to this particular northern waterfall is also another popular option for many tourists. 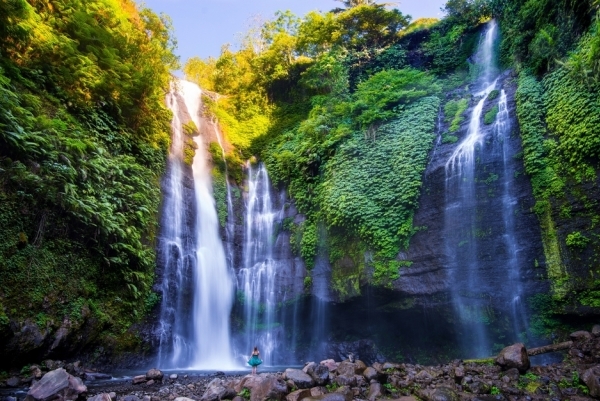 Said to be the most beautiful waterfall in Bali, Sekumpul starts from very high up and it appears through loads of greenery and rocks to produce a unique spray. This waterfall is definitely worth a visit. 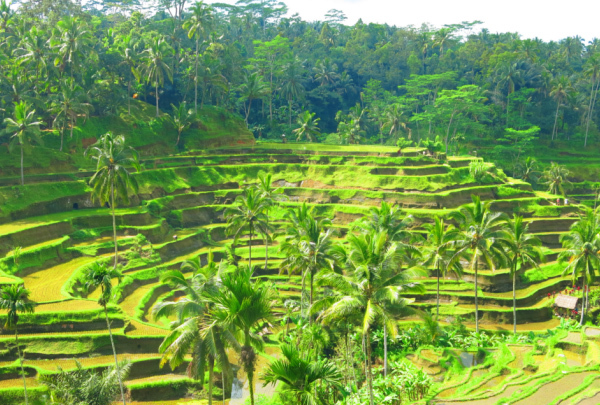 Southeast Asia is well-known for its beautiful and scenic rice terraces and Jatiluwih is a great example of this. The area is recognized as a UNESCO heritage siteand the name literally translated into “Really Beautiful”. Walking around the extensive fields and up some of the hills is going to take some time but in the end, it is worth it. Choose the InterContinental Bali Resort for your stay on the magical island of Bali. Stay with us before you head out for a long day of trekking and return for fitful night of slumber in our comfortable rooms.